Bora Bora and Tahiti, two of the world’s official island paradises, are located in French Polynesia. And whether you are in it for an island getaway, or a romantic honeymoon, there is not a soul on earth who does not dream of going there. Azure is the color of everything – clear skies and ocean, clear lagoons, local painted beach scarves fluttering in the wind, and tropical essences rich in the air. If you have had any experience with islands, you will know that, though coconuts and pineapples are the food most easily associated to them, local cuisine is a little more than that. The French Polynesian diet is combines seafood, fruits, and French cuisine. While most vegetarians would be happier in a situation not involving meaty, buttery, cheesy French meals, it is hard to get away from it, especially in the more touristy sites that you will doubtlessly be staying in. The good news is that food is only one part of a vacation. Your summer will not go to waste because you had to ask the waiter not to put any meat in your salad. Expect a good time from an idyllic tropical scenario, and even when the going gets tough, there are little things you could do to stay on top of your island nutrition program. The first thing you should do when arranging a vegetarian holiday in Tahiti is to book a hotel room with a kitchenette. You will be eating out less often than non-vegetarians, and access to kitchen tools makes life noticeably easier. Luckily, marketplaces are a significant part of the island charm here, so spending time bartering for fresh fruit and vegetables can become a very fun activity. On your very first day upon landing in Tahiti, head for Le Marché de Papeete, the local municipal marketplace, a sightseeing stop on its own, with its two floors of deliciousness, flowers, and souvenirs. 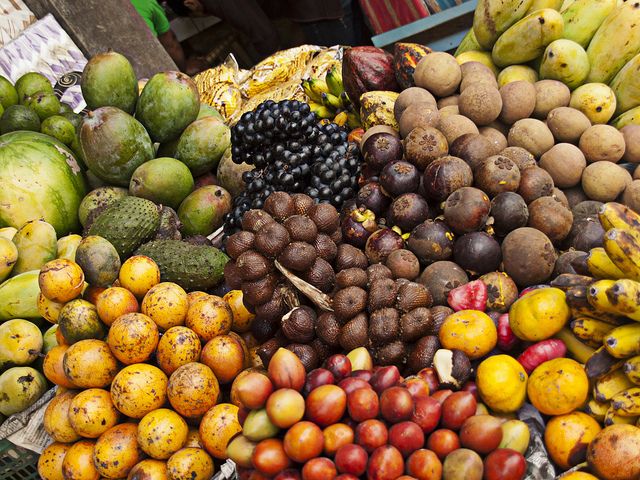 Expect large amounts of papaya, bananas, taros, various potato breeds, as well as coconuts and pineapples, and if fish is your thing, you are at the right place. There are a couple of restaurants on Tahiti and Moorea where vegetarian menus exist. Bora Bora – not so much. If you are looking for a fancy dinner on Tahiti, hotel restaurants will accommodate your needs. Alternatively, mobile food carts park at the Ferry Plaza at 18:00 every day, selling scrumptious cooked meals for a price smaller than what you would pay at a restaurant. On Moorea, buy your food at the Farmer’s Market at the shopping center. This is the best place to find fresh produce, though it is a bit out-of-town. Supermarkets offer a variety of vegetables as well. There is a supermarket in PaoPao, by the bridge, which sells soy milk. Life is a little difficult for vegetarians in any tourist haven because most tourists come from dominantly meat-eating countries, like the US and Germany, but things are not too difficult, and papaya picked from a papaya tree somewhere near the equator will taste infinitely better than papayas back home, and convince you that you made the right decision to vacation on an island paradise.